Wallace Herndon Smith (1901-1990) was a founding member of the Bellwether Foundation. 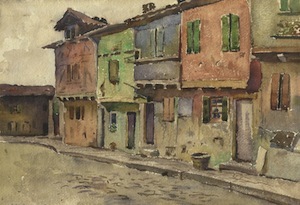 During his life, he was an accomplished and prolific painter in both oil and watercolor. Upon his death, he left his art collection to the Bellwether Foundation. For more information you may visit the Wallace Herndon Smith website. For more information on current or upcoming Wallace Herndon Smith art shows, please contact Curtis Blanchard by phone at 314.862.1150 or by email at jkurtist@aol.com.